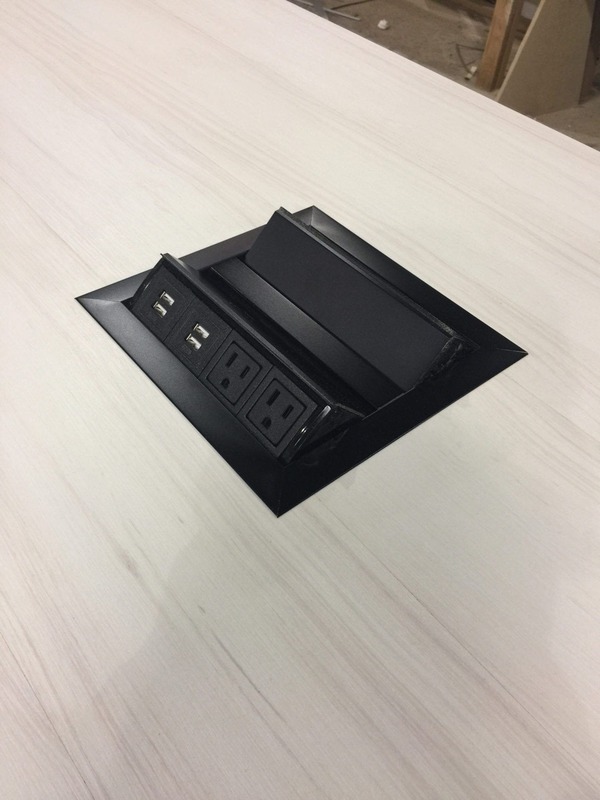 Holt Environments designed and built this team table for the Visit Lake Norman Visitor Center to give visitors and staff a landing space within the visitor center. 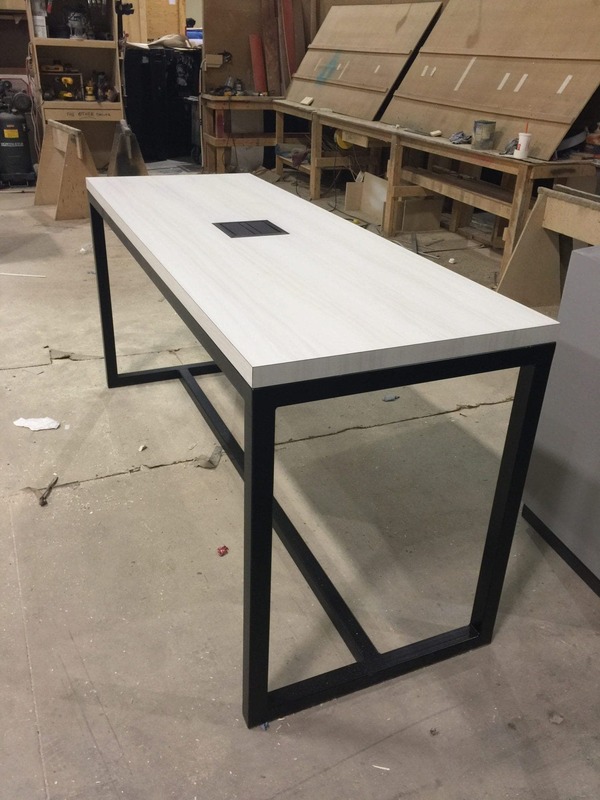 The table base is fabricated from welded and painted square steel tube. The top is made from laminated plywood and incorporates a power module for easy charging of mobile devices.